Internal Discipline is the most challenging aspect of learning Tai Chi. The central element of the practice dictates how a movement should be made from the internal core of the body—the abdomen and the back—not from the external parts of the body, such as arms and shoulders. This discipline is essential to obtain the full benefits of Tai Chi. Without it the entire logical structure of Tai Chi disintegrates and can no longer be considered an internal martial art. Tai chi is known historically as an internal martial art with a legendary reputation of cultivating neigong or internal energy and thereby achieving exceptional health benefits. Unfortunately, this art has been lost in most modern tai chi teaching. 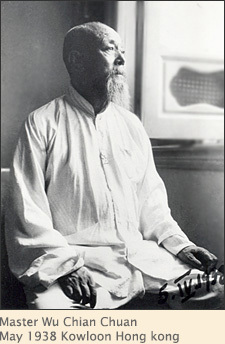 When the legendary Master Wu Chian Chuan taught Tai Chi to Grand Master Young Wabu, Wu taught him the methodology of cultivating neigong through Internal Discipline. Wu learned the Tai Chi from his father who learned from the Yangs—without alteration. The Yangs learned the art from the Chens. Internal Discipline should be a common thread through all the classical tai chi forms. And is of particular importance when one wants to develop the full health benefits of Tai Chi and to learn martial arts applications of Tai Chi. Classical Tai Chi offers a unique set of Online Tai Chi Video Courses produced by Master Stephen Hwa, student of Grand Master Young Wabu. This set of online courses and this website are part of an effort to bring the splendor of Internal Discipline. The true health benefits and the foundation for martial arts application of Tai Chi can only be achieved when the practitioner incorporates "Internal Discipline". 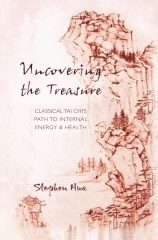 That is, using internal movements and internal power to direct and empower external movements into Tai Chi practice. This book outlines a methodology and training routine to achieve this goal.